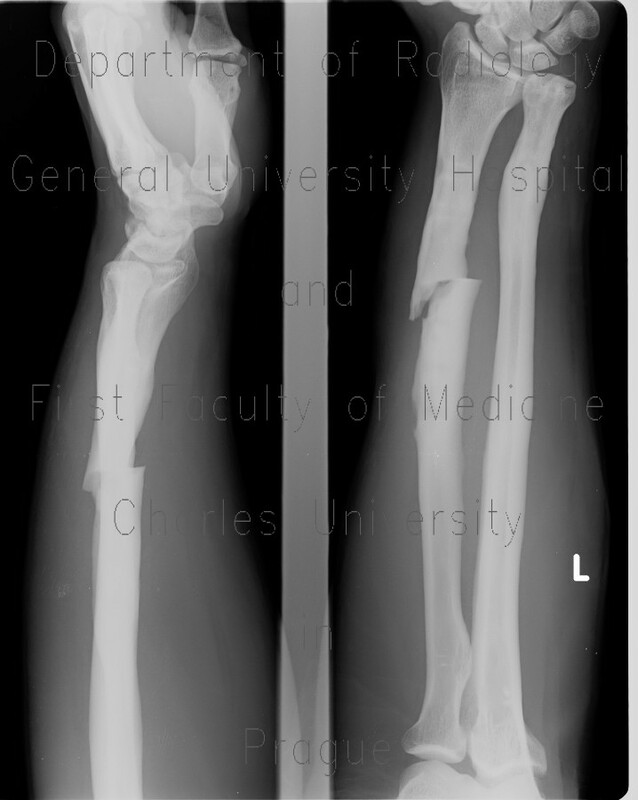 The first radiograph shows unhealed fracture of the radius shaft with dorsal and ulnar (medial) dislocation of the peripheral fragment. The bone has sclerotic cortex with diminished medullary cavity, there are no signs of healing. Holes in the bone are former locations of screws of locking plate, which was removed. The second radiograph shows that the osteosynthesis with plate was redone.